The inspiring story of the finest fighter of Indian army – Legend Captain Vikram Batra! “Ya to Tiranga lehrakar aunga ya to Tirange main lipta chala aunga, par aunga jaroor”(Either I will be back after hoisting the flag or I will be back wrapped in it, but I will come back for sure). These words by Captain Vikram Batra aptly sum up the spirit with which the Indian Army lives, just like his life sums up the spirit of the bravehearts who fight at the border. It was with this exact spirit and attitude that he motivated the men of his own battalion to keep fighting during the Kargil War. 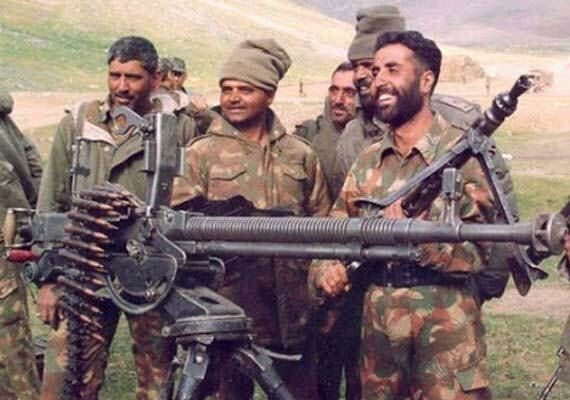 To know Captain Vikram Batra, we’ve got to know the young man’s story. Throughout school, Vikram had been great at sports, playing table tennis and practicing karate with equal efficiency. In fact, he was also a great student who represented his school at Youth Parliament competitions in Delhi. With this go-getter attitude, Vikram packed his bags to move to Chandigarh and get a degree in Medical Sciences. Throughout his college life, he remained a part of the Army Wing of National Cadet Corps. In fact, he got a chance to perform at the Republic Day parade because of it. It was his first glimpse of the army life and it was then that he had decided to live it. It takes this level of exemplary courage and unmatched confidence at a warfield to battle out with enemy single-handedly. These men serving in Indian armed forces always motivate me, their passion for the country only makes me proud. The fight to capture Tiger hills at Kargil was not just a war, it was a challenge a rogue nation like Pakistan put in front of India to decimate us once for all but Indian armed forces like always took up the hurdle to save mother India. When a Pakistani officer told him “Why have you come here Shershah?? You will not go back”! He replied – “We will see who remains at the top of the hill within an hour”. The story of Param Veer Captain Vikram Batra codenamed ‘Shershah’ should be written in golden letters. Captain Batra accomplished what he said and within an hour Batra capture Point 5140 in the early morning of 20th June 1999. Surrounded by mountains 17,000 above the sea level a group of heavily armed infiltrates had occupied the bunkers belonging to Indian army which was abandoned after a cease-fire agreement between India and Pakistan during the winter. It was very important for Indian armed forces to capture Point 4875 was crucial because sitting here infiltrates could dominate the road to Lay and also control access to the mushkoh valley and cause heavy causality to Indian army since they could watch every move of the Indian army. Captain Vikram Batra of 13 Jammu and Kashmir rifles volunteered to carry out the mission of capturing Point 4875 from the infiltrates earlier on 19th June 1999 Captain Vikram Batra and his men had successfully completed a similar operation of capturing back Point 5140 a strategic peak in the Kargil sector from the Pakistani terrorists. The team was divided into two troop alpha and delta and irrespective of the fact that terrain was extremely difficult and the terrain being very steep Captain Vikram Batra lead the assault, Captain Vikram Batra was a go-getter, he used to volunteer himself to lead difficult assaults and ambush in the operation to capture Point 5140 He was injured during the battle but continued fighting until the last enemy soldier was finished. Motivated by the courage of their officer the troops fell upon the enemy and captured point 5140 at 3:30 a.m. on June 20, 1999. Stories of his bravery are still told to soldiers who join Indian army. His regiment still adores the compassion Batra had towards his colleagues. The assault to captured Point 4875 began on 5th of July 1999 when lieutenant Naveen Nagappa and his men engaged in a furious gun battle with the terrorist. Lieutenant Naveen was seriously injured after a grenade was lodged at him during the 36 hour battle. 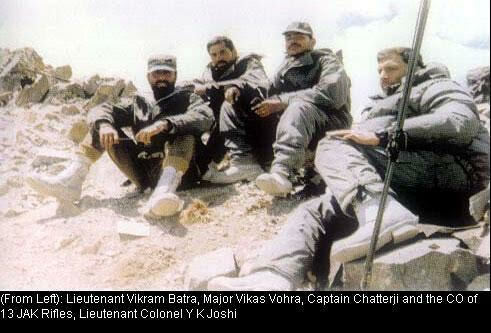 Post this Captain Vikram Batra was handed over the task to capture Point 4875. They immediately evacuated Lieutenant Naveen and took charge of the operation from where Lieutenant Naveen had left. 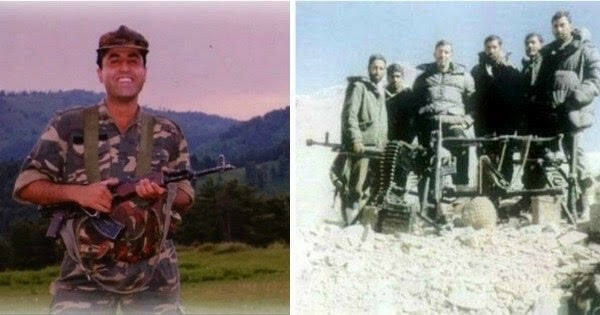 Captain Vikram Batra was popularly known among the soldiers as Shershah (Tiger). While the Pakistani infiltrates were much in delight at the causality they had caused Captain Vikram Batra and his men started an all-out assault on the enemy bunkers. The firing was so intense that Pakistani for few hours could not sneak out the bunkers to fire even one bullet at Indian army. The firing stopped for about 25 minutes from either side as Captain Vikram Batra and his men inched closer towards Point 4875 bunkers. The Pakistanis realizing and still at a comfortable position about 80 degree up started firing down on the Indian soldiers, The terrain was such that even if these Pakistani could roll one boulder off the Peak it could easily crush all Indian soldiers, I hope now you can visualize the condition of Indian army carrying out this operation. Carrying heavy ammunition with no food and very less water at this terrain is unimaginable. While the firing was on Pakistani rangers even taunted at Captain saying “If India is willing to hand over Madhuri Dixit they would leave tiger hills forever” for which Captain Vikram Batra said “Madhuriji is busy, but this is from Madhuri with love” and started firing at the Pakistanis in the bunkers causing heavy casualties. The victory on Point 5140 was precious and paved way for other valuable victories as on Three Pimples, Point 5100 and Point 4700. After his successful attack on Pt. 5140 Batra led his men to victory at point 4750 and Point 4875. While rescuing a fellow officer during the attack on Point 4875 he was critically injured when an artillery pierced his waist but continued to fight for about an hour to kill 5 more Pakistani terrorists and later succumbed to his injuries. Captain Vikram Batra was not only a soldier, he is a beautiful chapter of Indian armed forces. His love for this nation is one of the most beautiful things I saw and heard of. Captain Vikram Batra is awarded the highest gallantry award “Param Veer Chakra”. 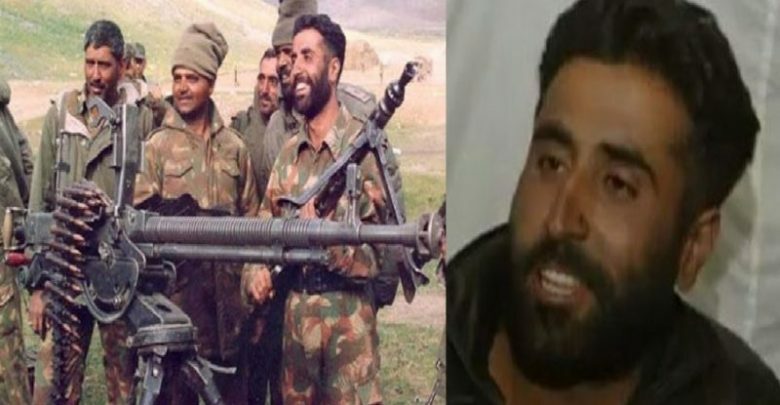 I was 12 years old and I clearly remember watching those visuals after his interview with NDTV from his bunker in the Kargil sector when asked how does he feel after capturing point 5140 Captain Vikram Batra responded back saying “Yeh Dil Mange More” Even to this day I google to see that interview posted on youtube and his smile gives me a confident that this country is guarded by the bravest men and we will be safe. Captain Vikram Batra’s story and his brave sacrifice should be told to every Indian. When you’re a braveheart with a heart that is always yearning for more, time cannot ever touch you. Thank you Indian defense forces for giving me another day to live and write about you.